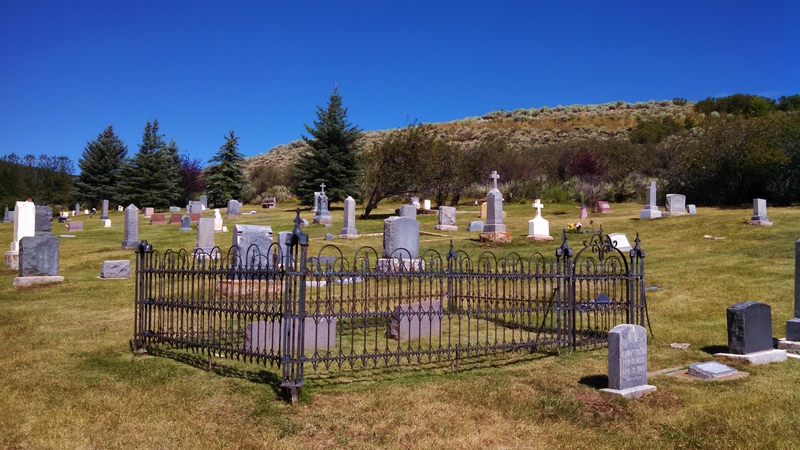 tombstones – Page 2 – I Dig Graves! This marker says it all, doesn’t it? Loved skiing. Loved each other. 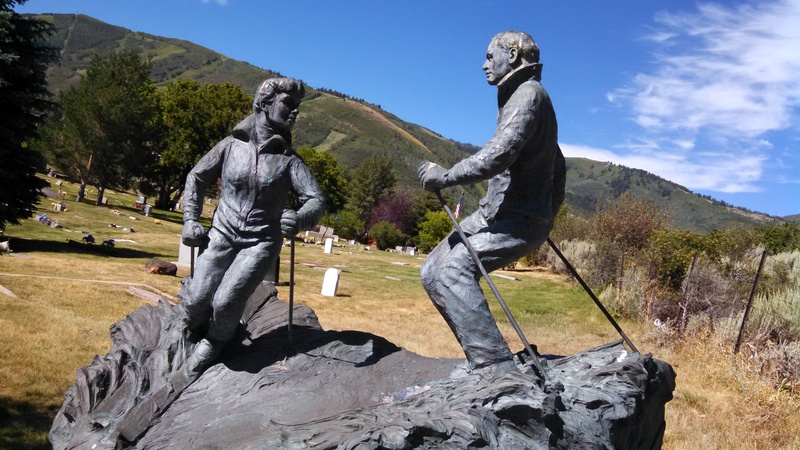 Park City, Utah is a ski town and an art town. 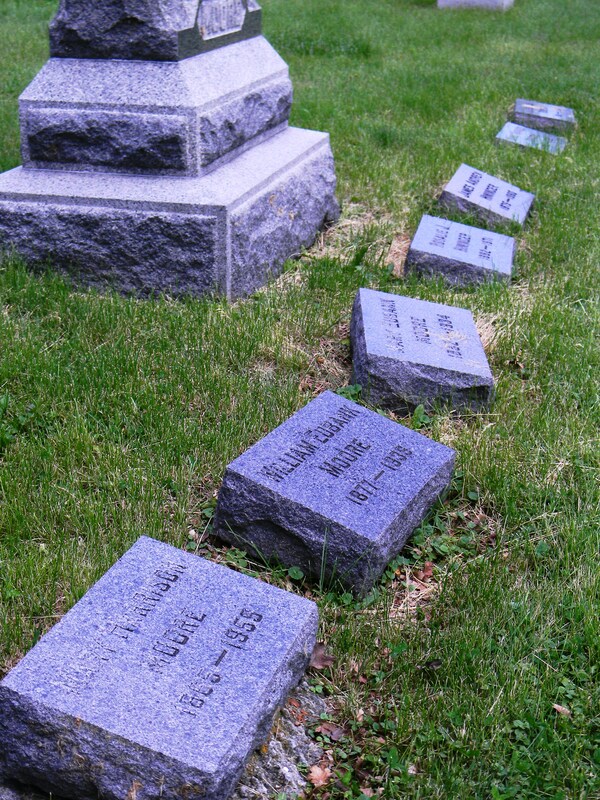 It shows in their cemetery. 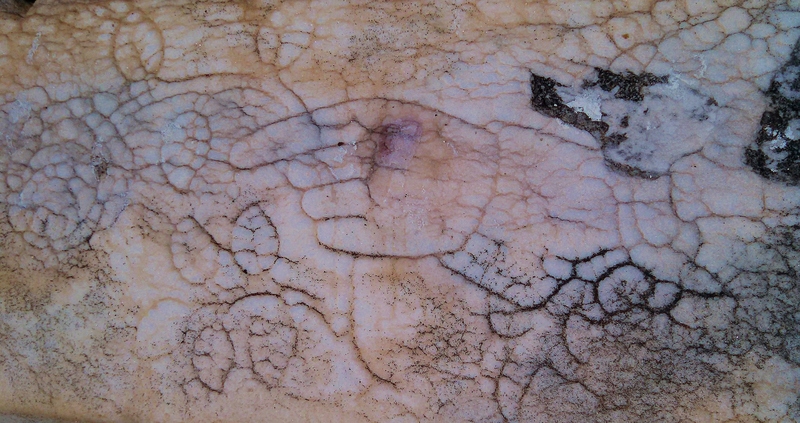 This artist died on his snowboard. Can you feel how much his friends loved him? An easy walk gets you out of the hustle and bustle of downtown Park City. I wonder how many film stars and fans attending the Sundance Festival find their way here for a quiet moment. Sometimes I just get caught up in the patterns. 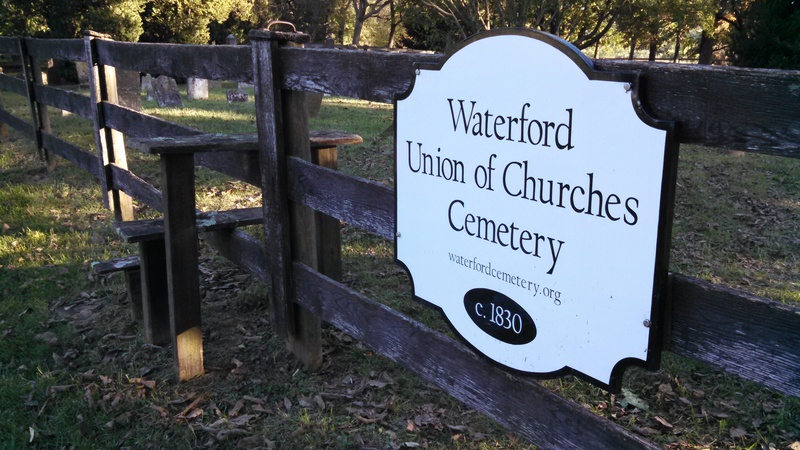 I’m not sure what gave this little cemetery such a northeastern feel. 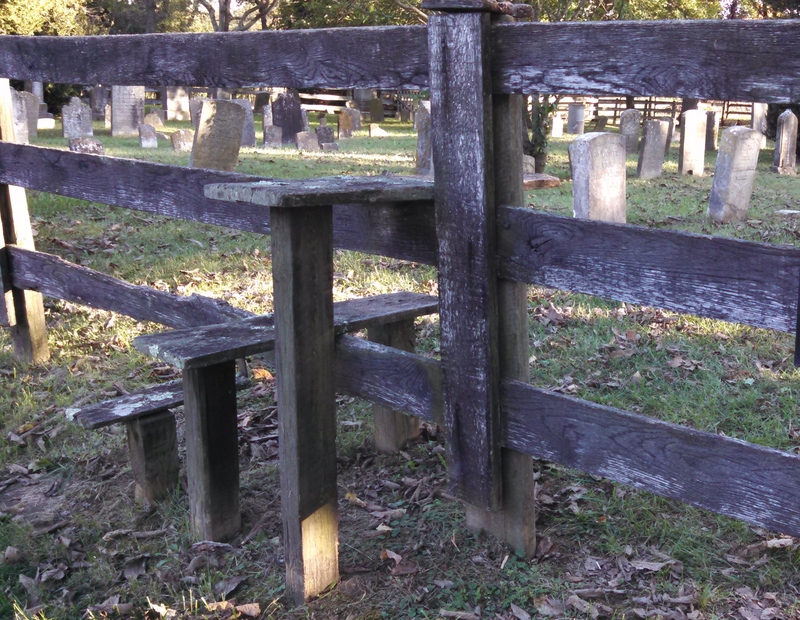 Its age and civility were factors, the split-rail fence, the simplicity of the stones. I couldn’t quite put my finger on it. 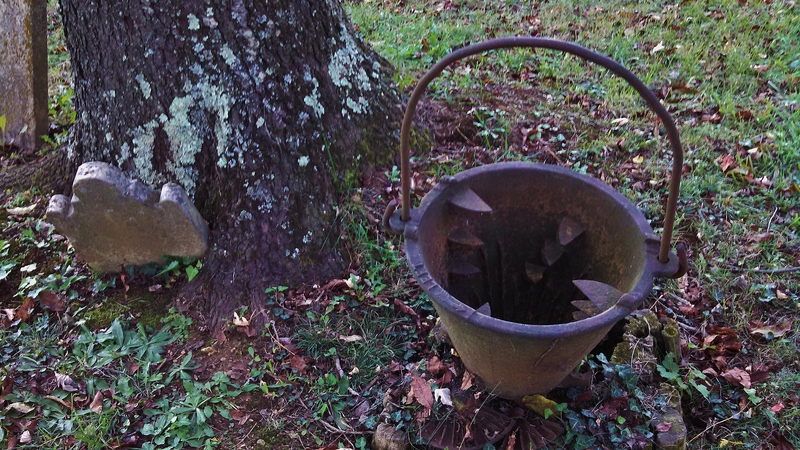 But with the scent of fall in the air and the quiet countryside all around, this one was a pleasure to visit. It’s a bit hard to find, but anyone in town can direct you there. Not sure what this is. Any guesses? Angels watch over the dead all over the world. You’ve seen the statues… wings, solemn indifferent faces, flowing gowns. 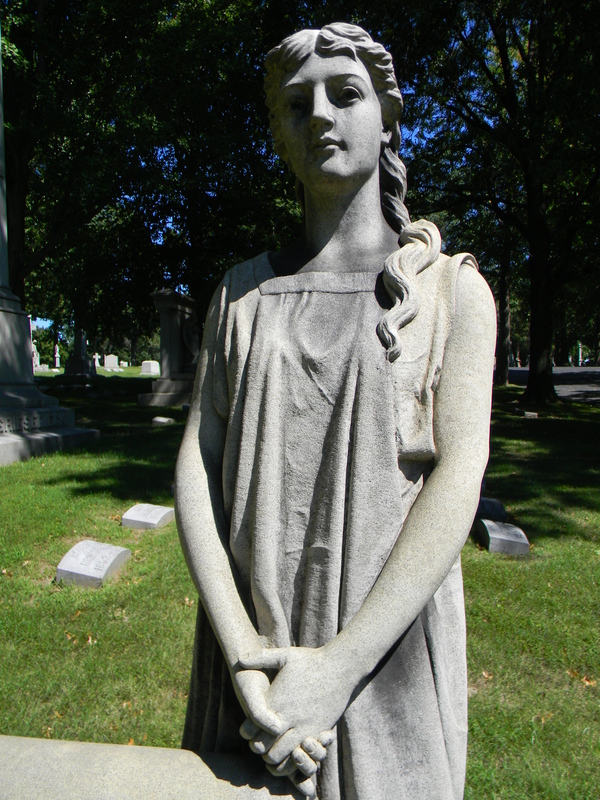 They’re beautiful, for sure, but I love finding human figures like these in Bellefontaine Cemetery in Florissant. 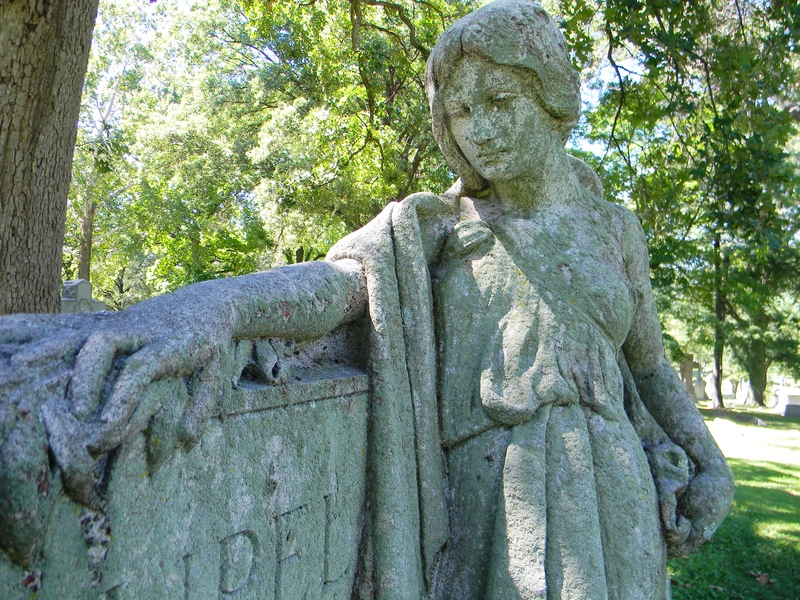 Maysie stands calmly beside her own grave. She’s at ground level, life sized. You feel like you could walk up and put your arm around her shoulder. No towering plinth keepering her out of reach. 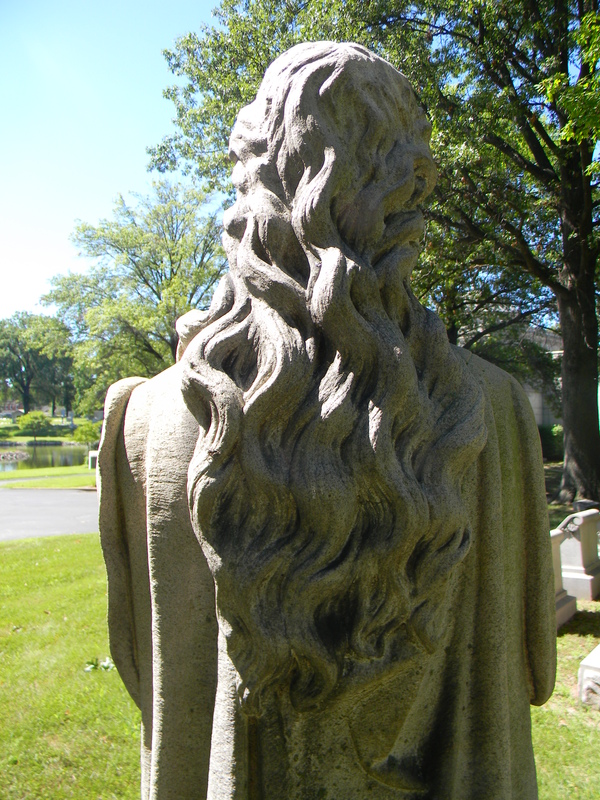 The woman who mourns the Hobbs family, Bellefontaine Cemetery. 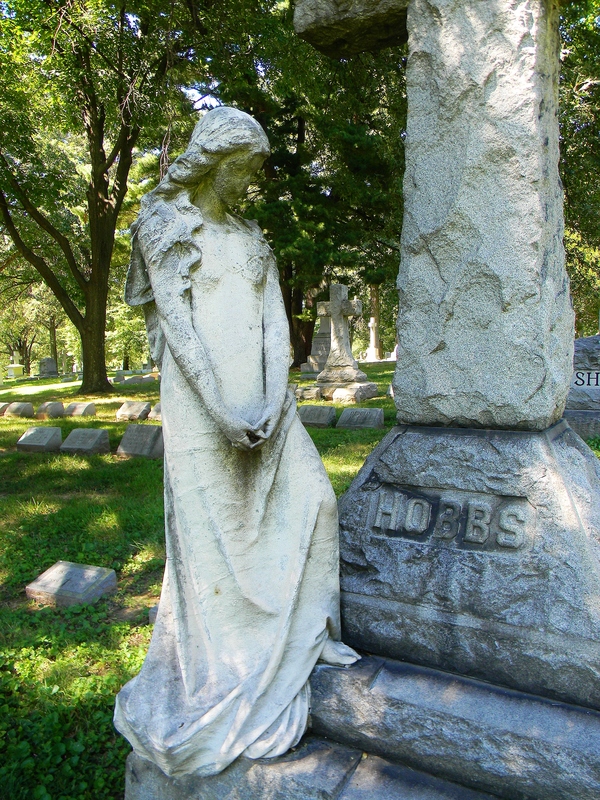 The poses and gowns are similar, but here the wife mourns her fallen husband. 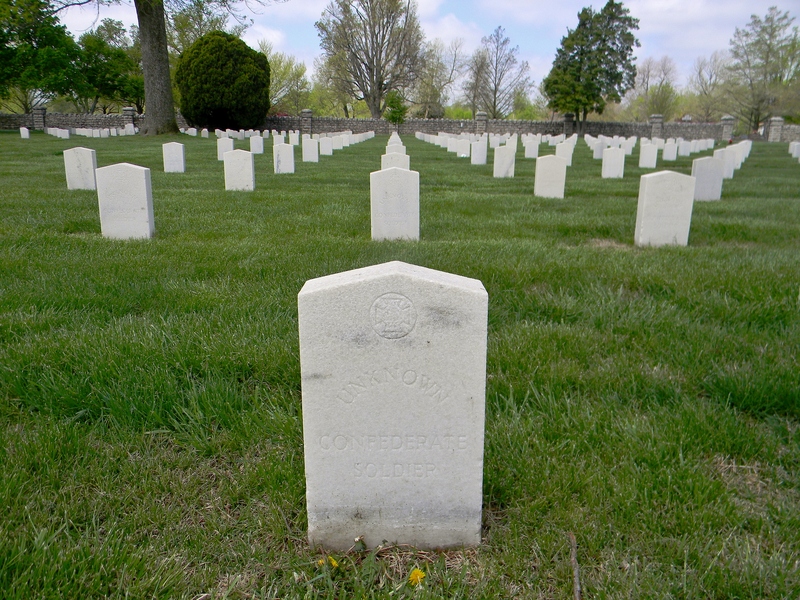 This widow made sure her husband was never left alone. Companions like these aren’t as common as angels, so I love finding them. 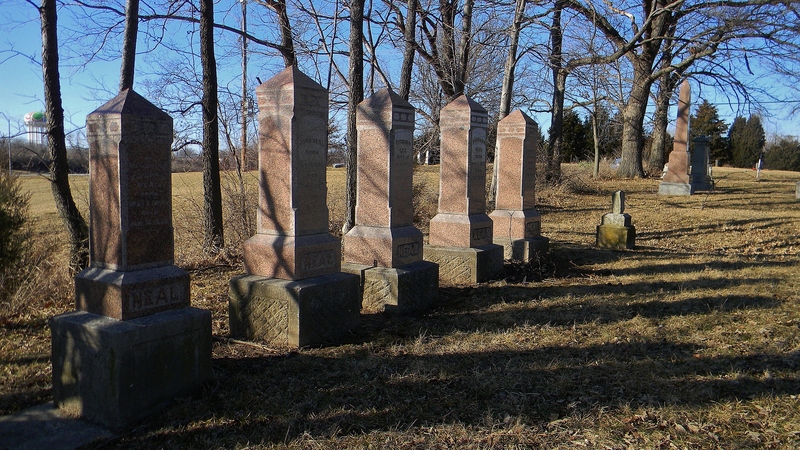 One of my absolute favorites sits in a little cemetery in Kansas, called Antioch Pioneer. Check it out. 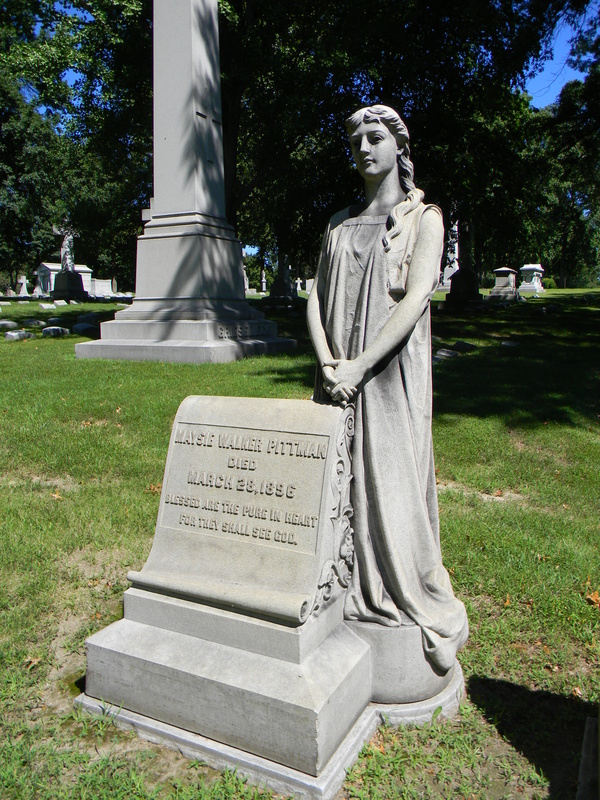 The Angel of Grief – my favorite tombstone of all time. 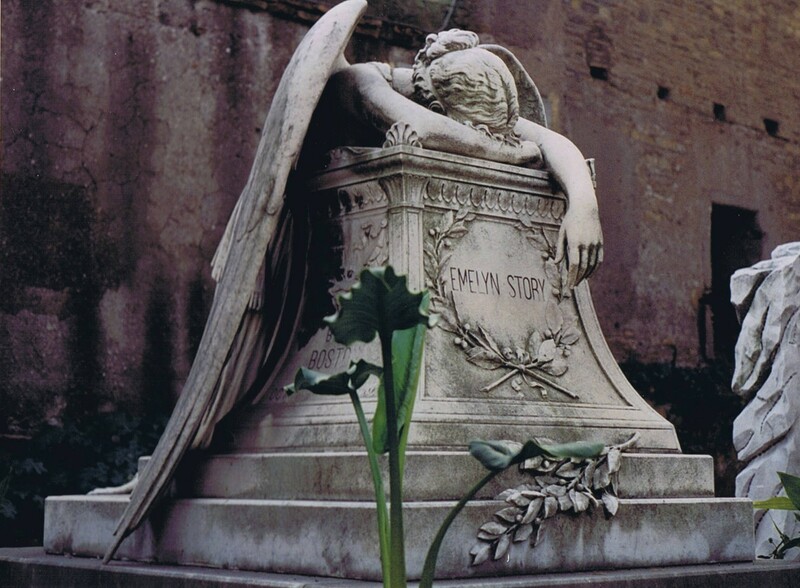 This gorgeous sculpture by William Wetmore Story, weeps atop his wife Emelyn’s grave in Rome, Italy. William was the hottest American sculptor there from 1819 -1895. 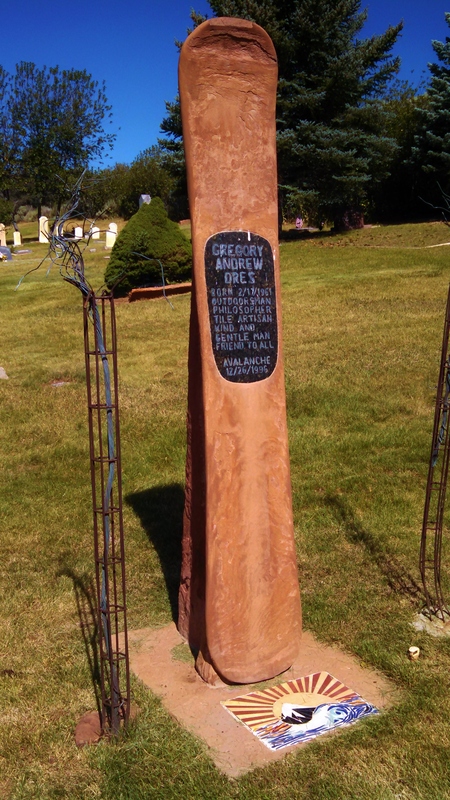 When Emelyn died, he poured his grief into this beautiful piece. It’s been copied all over the world, but none of the flatterers are as elegantly poignant as the original. 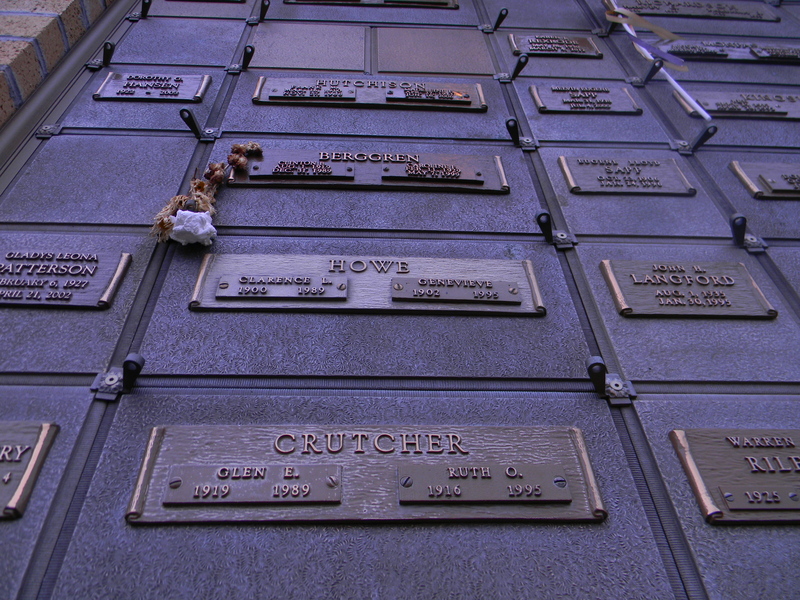 …or non-catholic cemetery, as the Italian name translates literally, is one of my favorites. I mean, you have to go to Rome to see it, so duh. A lot of famous people rest there, but it’s the not so famous and totally unknown, the quirky, the tragic the pathetic, the stunningly narcissistic, (see 30-meter-tall Pyramid of Cestius), that blend to give it its distinctive ambiance. Part English church garden, part first-century Roman ruin, this cemetery’s on the top of my MUST GO BACK TO list. I always love Let’s Go Guides for European travel info. Unlike Frommer’s and Michelin, Let’s Go caters to students and travelers with small budgets. 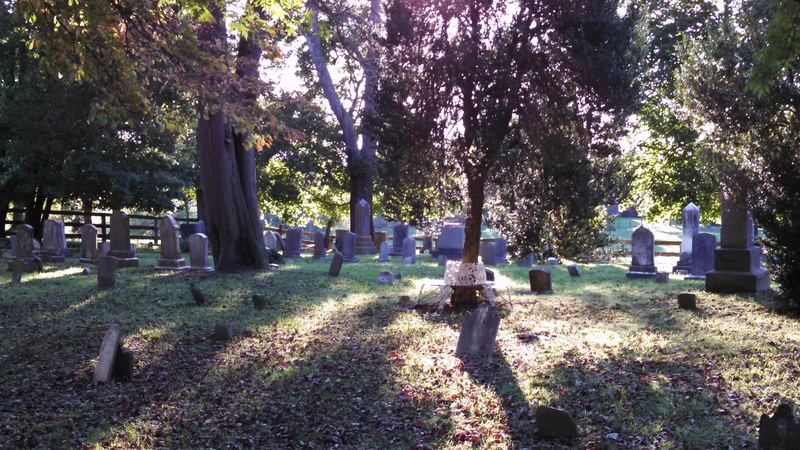 It’ll point you to the best eateries and coffee bars around the cemetery, the ones the locals hang out in.